New Australian research has found for the first time that individuals who are obese and suffering from atrial fibrillation may be able to reverse the effects of the heart condition by losing weight. Led by the Centre for Heart Rhythm Disorders at the University of Adelaide and the South Australian Health and Medical Research Institute (SAHMRI), the study looked at 355 patients with atrial fibrillation, a heart rhythm irregularity also known as heart flutter which can lead to stroke, heart failure and other serious health conditions. As well as atrial fibrillation, all patients also had a body mass index of 27 or over. To put this into context, those with a BMI of 25 to 29.9 are classified as overweight, and those with a BMI of 30 or higher are considered obese. The participants were then categorized into groups depending on the amount of weight they lost: less than 3 percent, 3 to 9 percent, or 10 or more percent, with the researchers finding that that achieving a 10 percent loss in weight, alongside managing other risk factors associated with atrial fibrillation, could reverse the progression of the disease. Atrial fibrillation is the most common heart rhythm disorder, with millions of people around the world diagnosed with the condition every year. Symptoms include chest pain, a 'racing' or unusual heartbeat palpitations, weakness, fatigue, lightheadedness, dizziness, and shortness of breath. "AF is a progressive disease in which initial short, intermittent symptoms develop into more sustained forms of the condition," explained lead author Melissa Middeldorp. 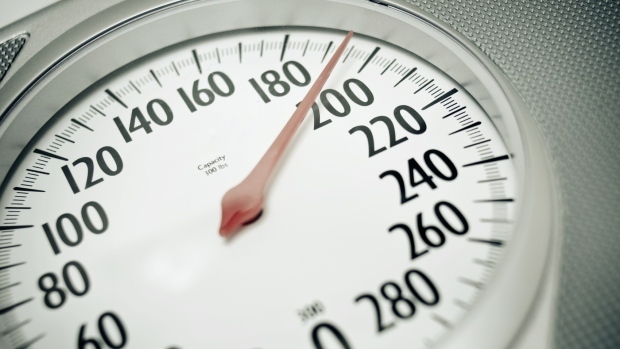 "Progression of the disease is shown to have a direct link with the degree of weight loss." "People who lost weight experienced fewer symptoms, required less treatment and had better outcomes. Those who previously had sustained symptoms experienced only intermittent symptoms or indeed stopped experiencing AF entirely." Dr. Prash Sanders, who leads the Centre for Heart Rhythm Disorders, also commented on the findings saying, "This study shows that weight-loss and treating lifestyle factors is an essential component for effectively managing AF, in many instances being an alternative to surgery or drug intervention." 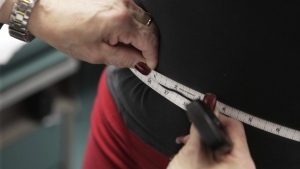 "With record levels of obesity in Australia and in most high-income countries, this study gives hope that obese people can have a better quality of life as well as reducing their dependence on healthcare services if they lose weight." The results can be found published online in the journal Europace.